CRAPTASTIC: Five Feature Friday #13! Look who go the features up on time! Not only is this table from Saved By Suzy gorgeous, but it also has an amazing sentimental story! Go check it out to see what it means to Suzy and her hubs! 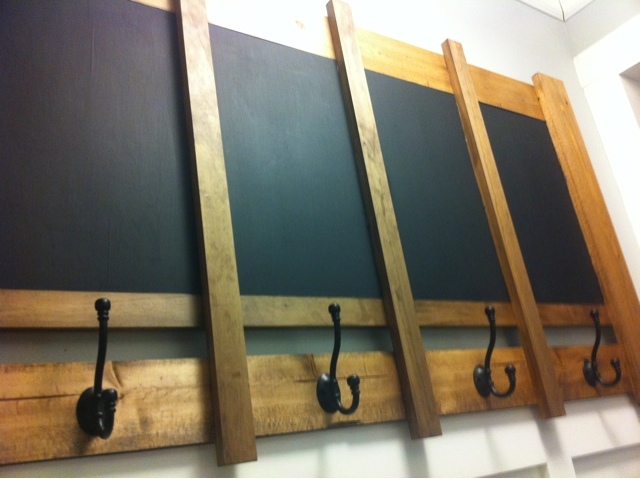 The Quaint Cottage did this chalkboard coat hanger by modifying one of Ana White's plans! Umm, amazing! Three O'Clock Winds really made this vanity/desk pop by adding some simple art details! 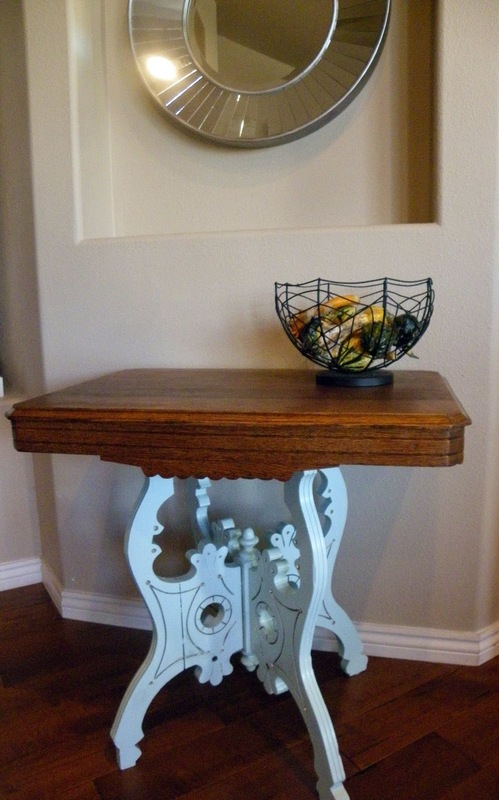 It looks perfect and really gives this piece some character! Some of the most amazing projects are just waiting in your back yard! 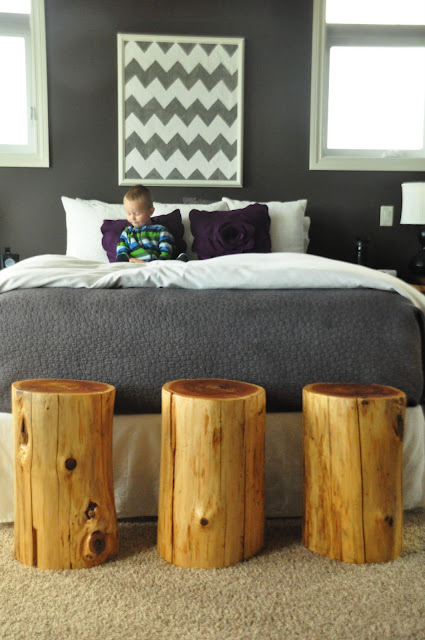 Timber and Lace showed us how gorgeous the simplicity of a tree stump can be in your home - check out all the different ways she can use her tree stumps! Feel free to grab a button if your were featured! Hi Katie, I always have to stop by and check out your features. I really love the table with the white base. Great features! 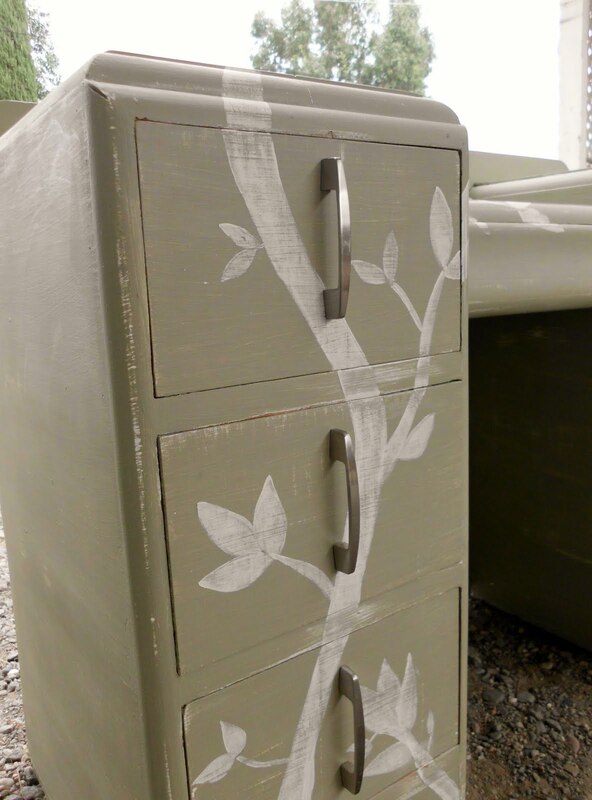 The design on that desk is fabulous! Still need to get around to painting that bookcase. I'm not afraid anymore, I just don't have any time!! Thanks for featuring my stump stools. I can't wait to explore more of you blog soon. Thanks. Holy cow! Thanks so much for the feature! You're so welcome Marci and Erica!! Thanks Katie! That bedroom with the stools is so pretty! What great features! I especially love the tree stumps.